Happy Friday! For a couple of months I have been trying out Buddha Teas in two different flavours. 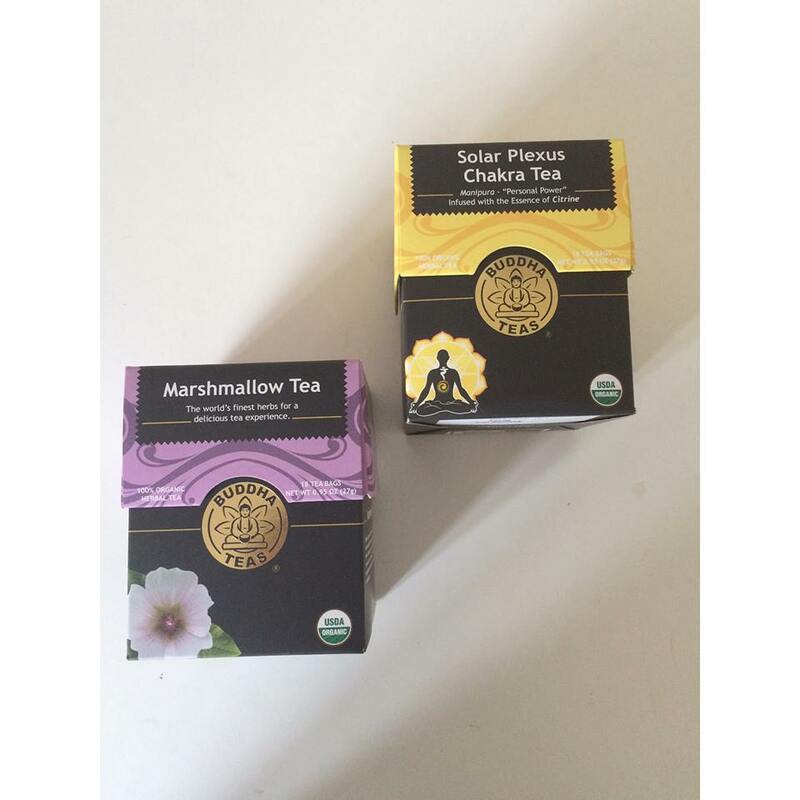 The first Solar Plexus Chakra Tea and the second Marshmallow Tea. 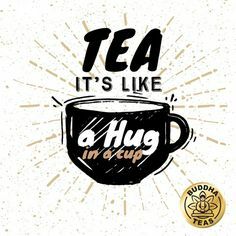 Buddha Teas is an American tea brand raising the bar throughout the U.S.A. Based in Carlsbad, California the company have worked extremely hard to create the best quality teas available. With a wide variety of classic teas, herbal teas and custom blends. Buddha teas strive to create the best quality and variety. Brought to life by the idea of John Boyd. The Solar Plexus Chakra Tea was my favourite out of the the two but not for the taste as both teas taste amazing and both contain Marshmallow. The name drew me to this tea first as most of you will know I studied Beauty & Complementary Therapy in college and am qualified in Indian Head Massage. During my training we learnt about chakras and balancing the body. 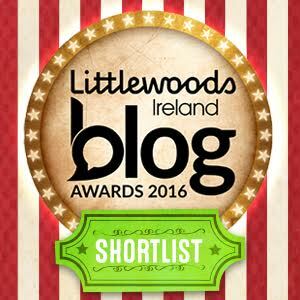 As mentioned before I suffer with anxiety. I knew this tea would be perfect for helping me cope with this if it did as the name suggests. Thankfully it did! Firstly what is a chakra I hear you ask? Chakra's are basically wheels of energy used in Ayurvedic medicine. The Solar Plexus is the third chakra named Manipura. Manipura defines self-esteem and acceptance o one's self. This tea was created to balance the Solar Plexus - just what I needed! This tea is also so delicious. It is 100% organic containing rosemary, lemongrass, ginger root, orange peel and marshmallow. This tea is so warming and completely relaxes and calms the mind. You can shop this tea here I would definitely recommend this tea to anyone who suffers with anxiety or low self-esteem. As you are drinking it you can feel it warming from within. No joke! As crazy as it sounds. The quote pictured below is the truest words spoken when it comes to this tea. Try it and you'll see! I picked this tea because of the name to be honest. The word marshmallow conjures up the thought of a sugary white treat. For me it still seems like a treat but a healthy one. It is yummy! It is fresh and mildly sweet. Lately there has been so many "sweet' teas appearing on the market such as salted caramel and vanilla chai. Yes these are a great alternatives to coffee with milk and sugar but some of them aren't 100% organic like Buddha Teas. Buddha Teas are 100% organic, they do not contain any artificial flavours, colours or preservatives. 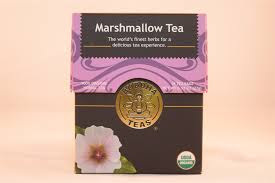 You can shop the Marshmallow Tea here. This tea has so many natural positive qualities including vitamins, minerals and antioxidants. This is the perfect reason to discover Marshmallow Tea for yourself!